This is kind of a topical picture, as earlier today the programme for WalkIslay 2014 has been released. 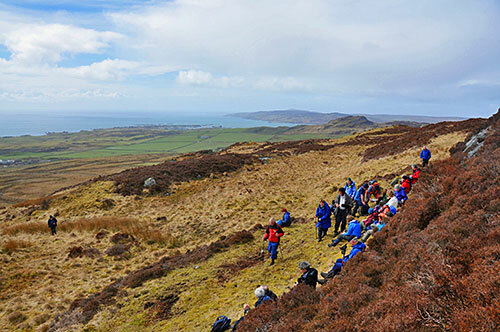 More about that tomorrow, for today a picture from WalkIslay 2013. Jenny took us out into the hills behind Laphroaig distillery (not visible in the picture). We had lunch high up in the hills with great views over to Port Ellen. That's all I have for today, good night and have a great weekend, hopefully without any storm damage and/or flooding!